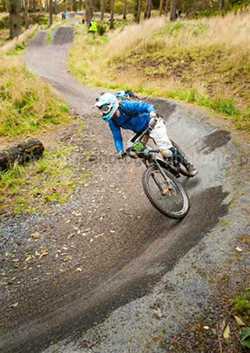 The bikepark will be located within Lennox Forest in Lennoxtown and will contain a variety of trail features and will cater for beginners right through to experts. Once the park is complete we will aim to offer coaching, club discounts and basic bike parts such as tyres and tubes. We aim to create an environment which is safe and fun whilst promoting progression. We may hold future events and competitions and through a club structure we will have a race team that will compete in various races and consist of up and coming talent from the local area found through the bike club which will run at the bikepark.